Hanji Naty (한지나티): 2015 Jeonju Hanji Culture Festival : We'll be there! 2015 Jeonju Hanji Culture Festival : We'll be there! 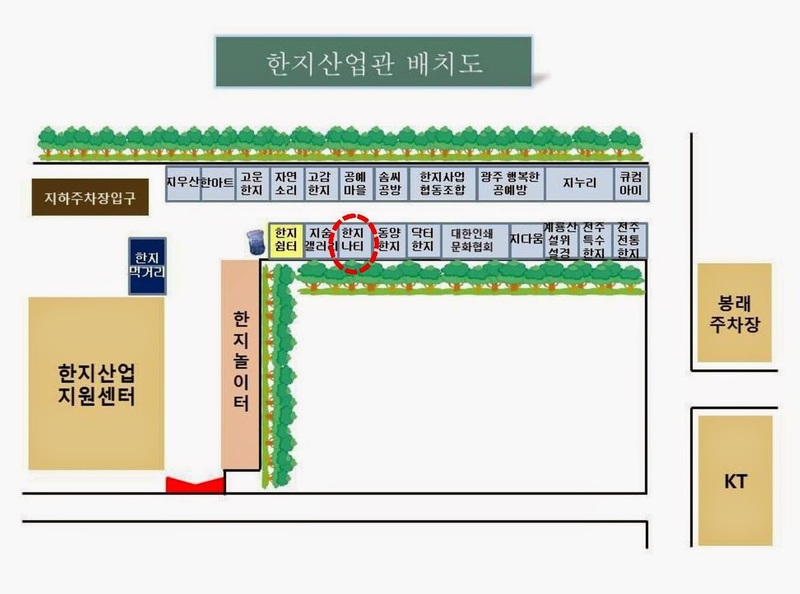 I am thrilled to announced that Hanji Naty will have its own booth at the 2015 Jeonju Hanji Festival! This annual event will be held from May 2 to May 5, 2015 in the area surrounding the Hanji Industry Support Center in Jeonju (Jeollabuk-do province, South Korea). For the 19th edition of the Festival, visitors will have once again to participate in many various activities and events, including hands-on workshops, fashion shows, exhibitions, an open-air market, etc. The Festival is always a very festive occasion to discover the amazing work of Korean Hanji paper artists! You should be able to admire the work of the winners of the National Hanji craft contest, which is always outstanding. We will be there for the four days to present our latest creations to the visitors! You can expect new items in the Hanji Naty booth, including Hanji paper necklaces, hair accessories, earrings, pen holders, coasters, magnets, and more! The Festival site is open and admission is free for all visitors. If you wish to do some hands-on crafts some fees apply, depending on the project you want to tackle. See you all in Jeonju !